As the College of Veterinary Medicine said congratulations and best wishes to the Class of 2018 last May and welcomed the Class of 2022 this August, two facts remain constant: the college continues to attract the most talented students in the nation, and the future is bright for our graduates, the college and profession. The Class of 2022 is among the most well-prepared and diverse in the college’s history. The 162 students hail from 26 states as well as China, and have degrees in disciplines from biology to English, public health to anthropology. Seventy percent of students are from underrepresented groups in veterinary medicine, including males, race/ethnic diversity and first-generation college students. Their volunteerism is impressive, as is their range of personal interests spanning poetry, beekeeping, autocross driving, camel handling and more. There is even a mutton ‘bustin’ champion, a Blackhawk helicopter crew chief and a National Spelling Bee finalist among them. The removal of the Graduate Record Examinations (GRE) as an admissions factor for prospective veterinary students promises to lead to an even more diverse class with the same emphasis on academic rigor. Why did the college remove the GRE as a requirement? Because there is no evidence that it is predictive of success of veterinary students, and it can be just another barrier for some highly-qualified applicants, says Dr. Read. “We are trying to remove barriers in the expense of applying for veterinary school, and some students incur a great deal of cost preparing for and taking the GRE. We wanted to make it an equal opportunity for all and not potentially an advantage to those with more resources.” The number of applications for the Class of 2023 increased about 27 percent, compared to the national average of about 10 percent. Following national trends that correlate to a strong economy, the Class of 2018 has experienced great success following graduation. Of 116 graduates who responded to the AVMA survey before graduation, 39 have pursued advanced training, two have gone to public or corporate positions and 75 have secured positions with private practice. In a market that continues to favor the job-seeker, salaries are up from previous years. 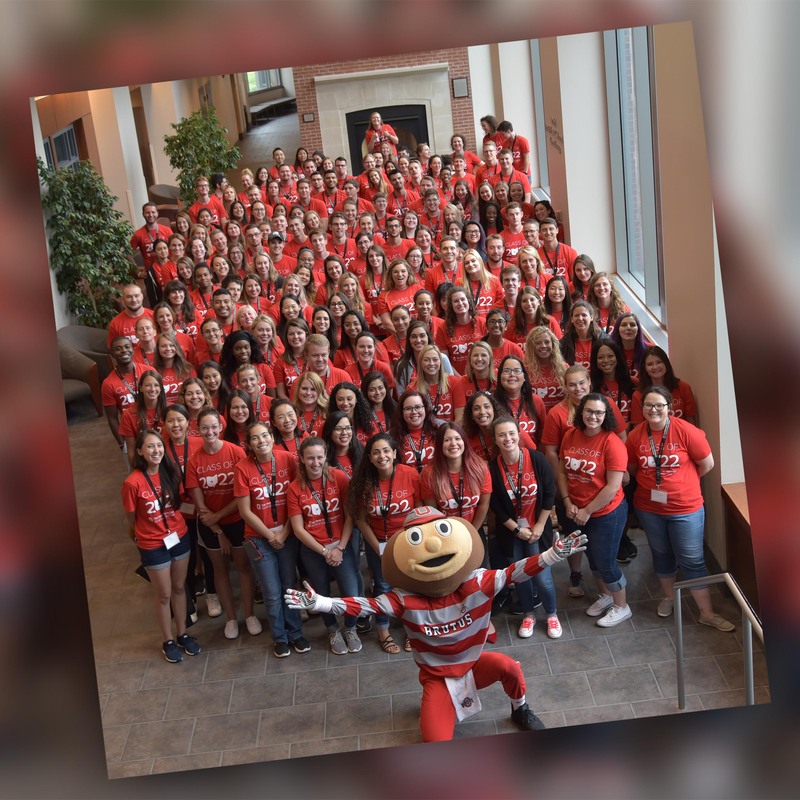 In private practice, the average starting salary for Ohio State graduates was $84,495, slightly higher than the national average of $83,098 (AVMA survey of graduating veterinary students). In companion animal exclusive positions, the average starting salary hit $91,374—a $10,000 increase from 2017, which was about $10,000 greater than in 2016. In addition to earning more money, these graduates are going into their professions with a lower debt-to-income ratio than in previous years. The drop is credited to an increase in donor-funded scholarships at the college, as well as higher salaries. You can learn more about the college’s efforts to increase scholarships at go.osu.edu/cvmscholarship. An additional perk for the Class of 2018? For the first-time ever, nine graduates received student loan repayment assistance as an employer benefit. The College of Veterinary Medicine's Be the Model Strategic Plan outlines the college's ambition to Be the Model comprehensive college of veterinary medicine in the world. The college's focus on recruiting the top students and graduating confident and competent veterinarians is one example of our goal to advance education and student success . Learn more about the strategic plan and other advances at the college.